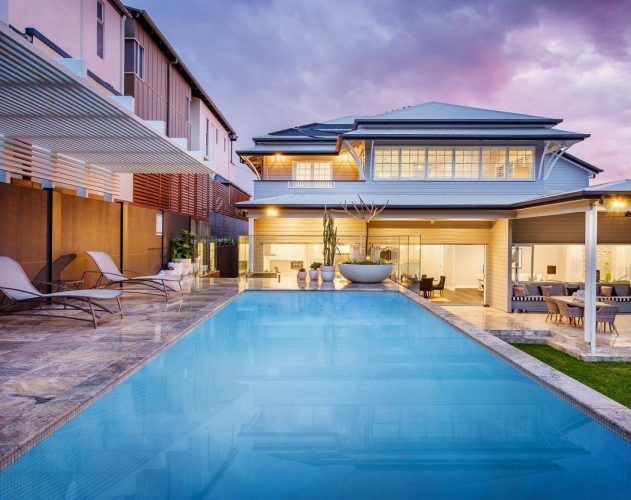 Hamptons style is known for being timeless and classic in the sense that it pulls everything back and focuses on the finer details of the design. 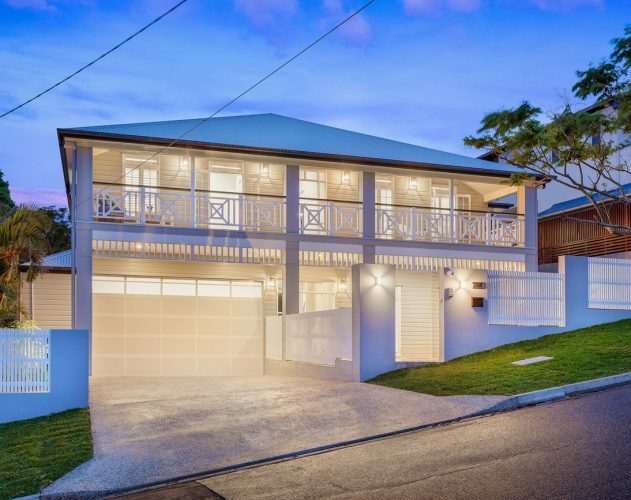 This property in Wilston was no exception. 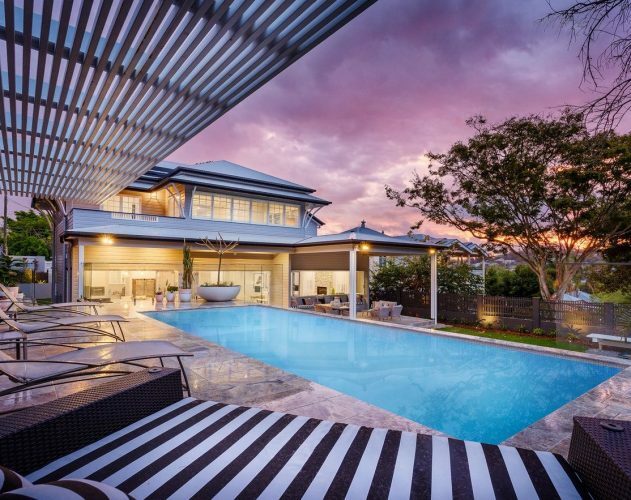 Everything about this residence screams Hamptons with all of the classic design elements peering through, along with the very best in regards to technology for the home. 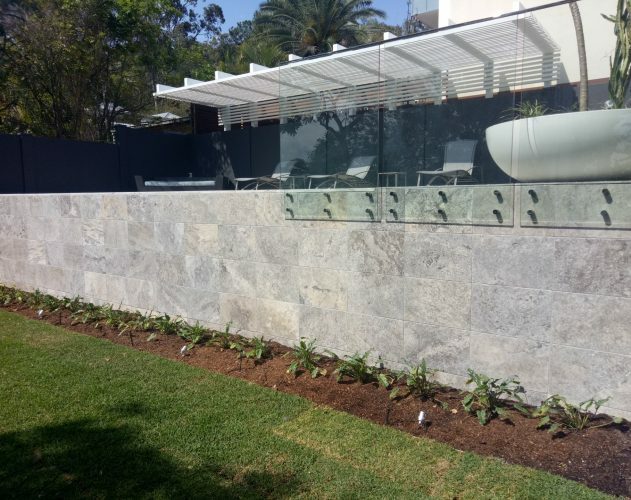 The landscape design prepared for this property not only had to match this style, but add to it. 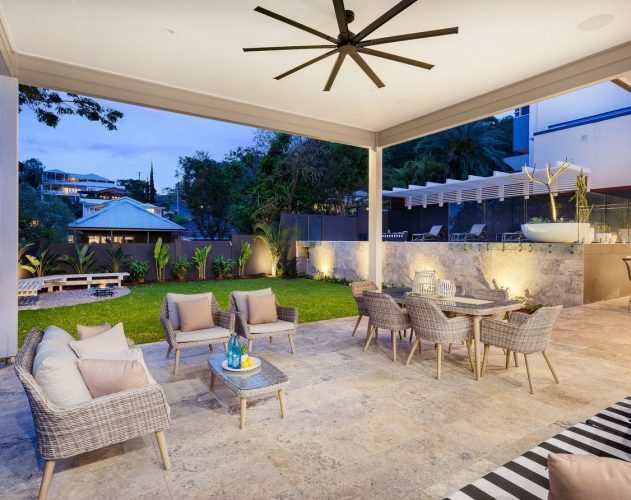 The design aimed to add to the existing entertainment areas by creating more comfortable and informal seating options and providing shade, pops of colour and greenery where necessary. 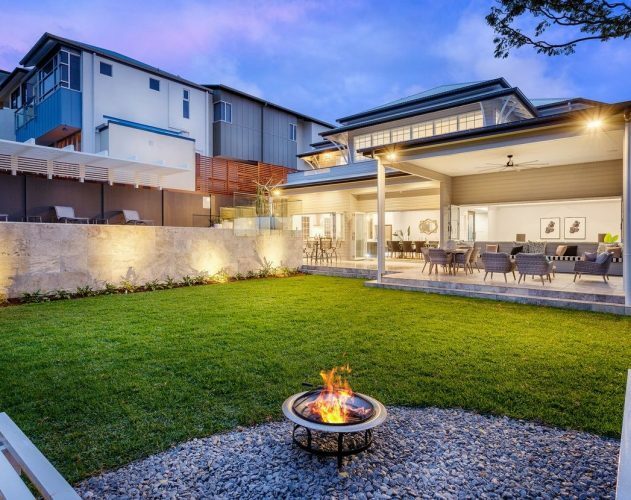 A fire pit in the back corner was seen as a necessity to add value to the property. 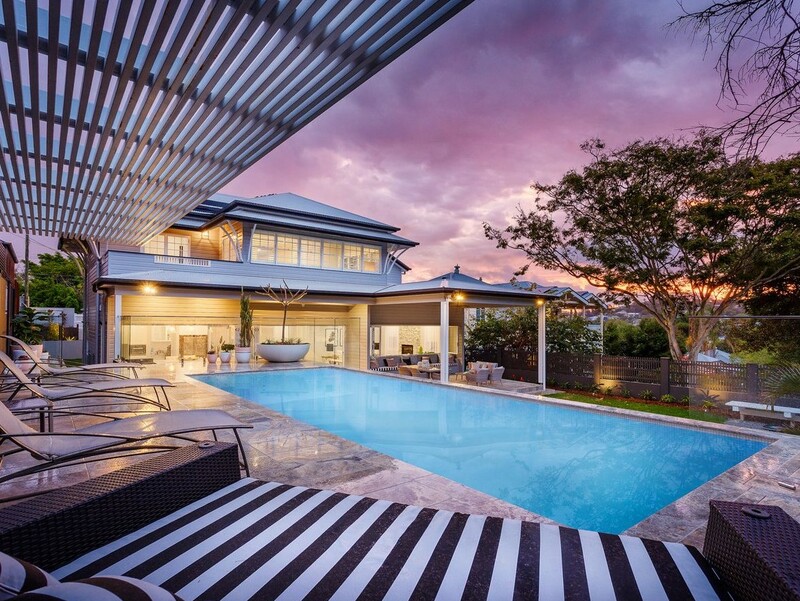 It was angled in such a way that lends itself to still be connected to the other high-activity points throughout the property, while still feeling as though it could be a private setting. 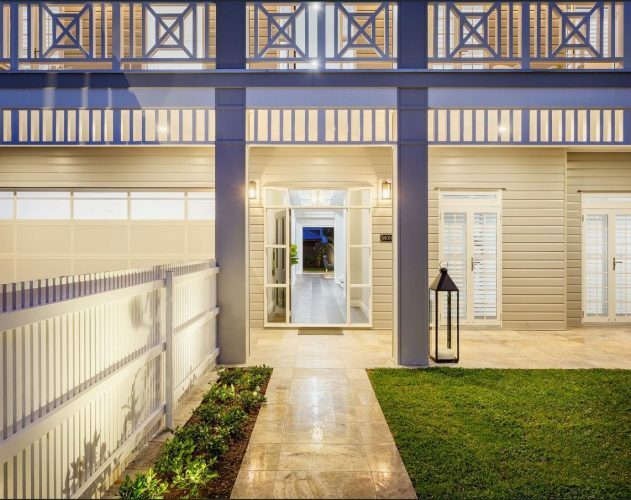 A grand entry awaits you as you enter the property on a levelled platform. 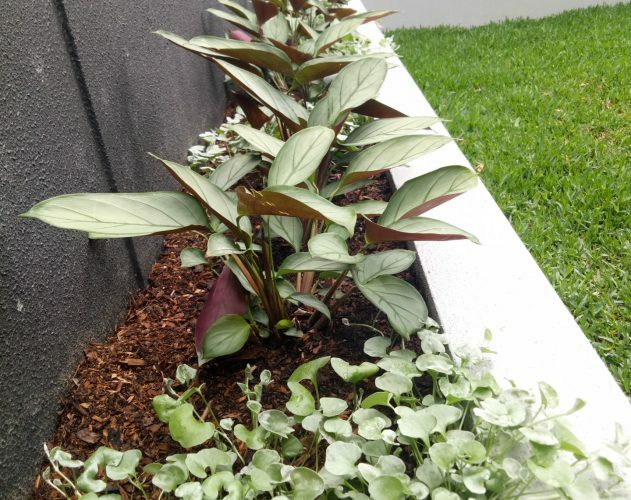 Tiered garden beds line the front, filled with complementing and evergreen foliage as well as a series of semi-mature native trees that will add to the privacy and shade of the house over time. 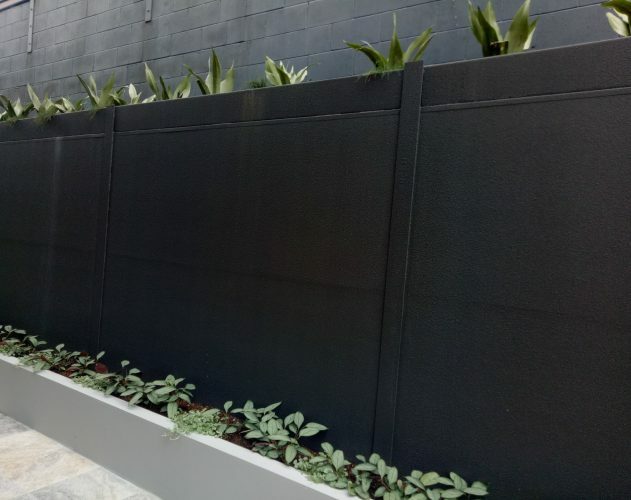 All of the retaining walls surrounding the residence include a garden bed at the top of them to allow for hanging gardens to cascade down, thus creating green walls and softening any and all hard surfaces. Multiple custom made pots were created to dress the pool area. 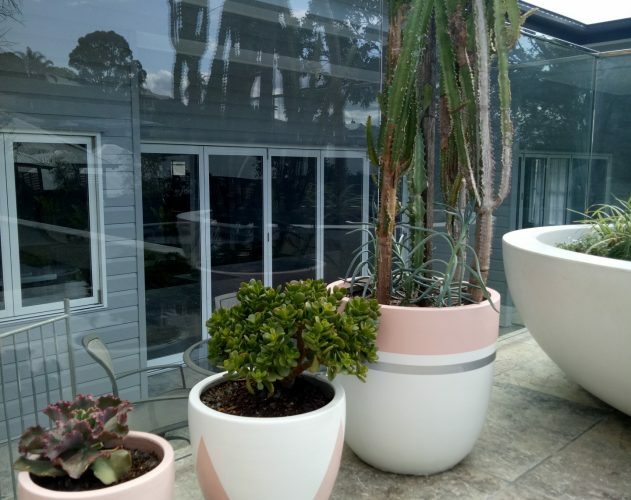 These pots add pops of colour throughout this region as well as maximising the luxury resort feel throughout this upper level. 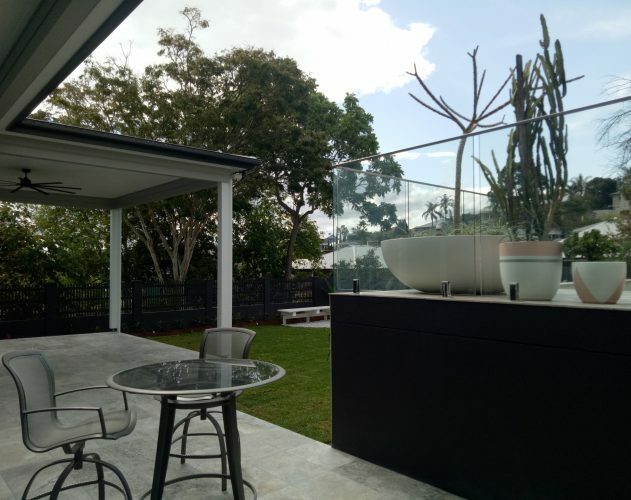 A relatively large pot was put in place to allow a mature Frangipani tree to sit within the pool area. 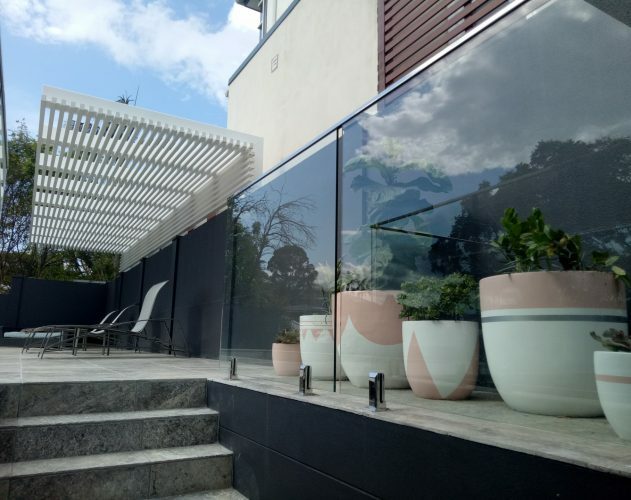 This pot was designed to work as an informal seat while still providing flexible and greenery to what would have been a rather hot and hard section.